Dr. Greta is an educator, research professional and business leader with more than 20 years of professional experience in qualitative and quantitative research, instruction, and small business development. Having earned a Ph.D. in Higher Education Research from the Center for Study of Postsecondary & Higher Education (CSHPE) at the University of Michigan in 1999, Dr. Greta continues to be passionate understanding behaviors and attributes that drive engagement, persistence, and growth at both the personal and professional levels. 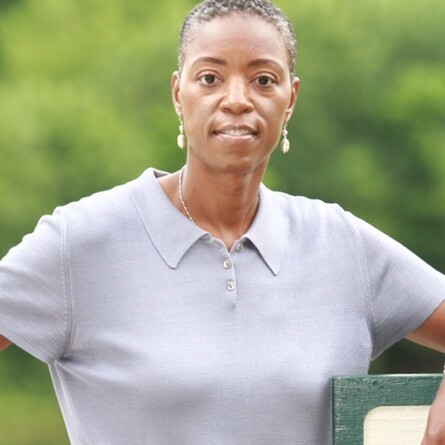 As an LPGA Class A golf teaching professional, she continues to pursue inquiry that will facilitate growth and diversity in golf participation among all groups, particularly women and other currently underrepresented groups. The NanoConglomerate(TM):: Proven Strategies for Creating Your Own Profitable & Scalable Startup Business Enterprise Are you looking for a proven system to build your own business? Are eager to identify reliable ways to increase your earnings? Are you interested in learning how successful entrepreneurs create unique small business enterprises? Are you ready to begin creating a successful and sustainable small business enterprise, for less than $300? If you answered “yes” to any of these questions, then this is the right book for you. In The NanoConglomerate™: Proven Strategies for Creating Your Own Profitable & Scalable Startup Business Enterprise you will get unprecedented access to Dr. Greta Anderson’s exclusive resources and proven guidance to make your dreams of business ownership a reality. Complete with real world case studies and actionable strategies for you to use immediately, this primer will put you on the right course to starting and growing your NanoConglomerate™. Find out more about Dr. Greta Anderson at http://Www.DrGretaAnderson.com.